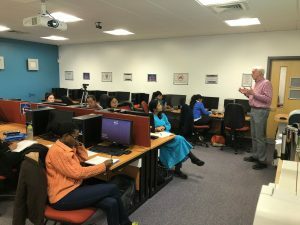 The None in Three Research Centre has welcomed its local and international partners to a three week series of training sessions at the University of Huddersfield from 9th-27th April 2018. Read the article by the University of Huddersfield here. As the final week of training for the research teams continues, Ni3 continues to grow stronger in its goals of building capacity within the centre and creating prosocial computer games aimed at preventing gender-based violence across the globe. Researchers’ Training is rounded off with a public lecture by world-renowned Criminologist Professor Matt DeLisi of Iowa State University in the USA entitled “Psychopathy as a Unified Theory of Crime”.